We are looking for a Farm Intern to assist our Base Camp’s Farm Manager and Educator in caring for our high altitude vegetable garden and a flock of hens, while offering daily educational activities for our ‘trekkers’ ages 10 to 18. The Farm Intern should have experience or willingness to learn about organic gardening and engaging children in a meaningful, fun and educational manner. Interested in living in the Southwest for the summer? Curious about what it takes to grow food in the desert? This could be your chance to be a part of a dynamic group of dedicated educators where you can learn new skills, incorporate your passion and contribute to our mission! Cottonwood Gulch has been operating summer programs for 87 years. Set at high altitude in western New Mexico, the Base Camp is a 540 acre Nature Preserve which boasts excellent sunrise views, excellent meals, community with quirks, and a variety of outdoor recreation opportunities. The Farm is one part of the larger program including educational wilderness expeditions, archeology, natural sciences, adventure, etc. Six years ago, our Farm Program was developed with sustainability and ‘farm to table’ approaches in mind. 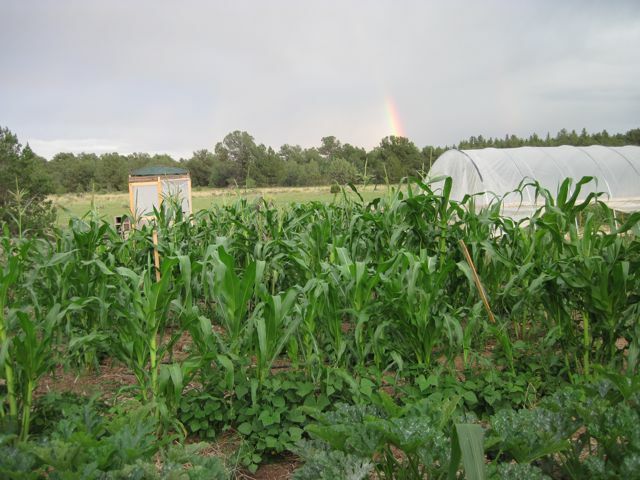 Now drawing from nearby native traditions and biodynamic principles, our garden incorporates a hoop house, rainwater collection, and the experiential spirit which is the ‘Gulch Way.’ We grow most of the greens for our camp kitchen, as well as summer squashes, heritage corn varieties, herbs, flowers, and much more. The intern can expect to work six days a week for the seven weeks camp is in session, with staff training in June and closing in August. In return, he or she will gain experience working closely with dynamic staff and receive room, board and stipend. Come join us for a summer you won’t forget and where you will gain hands on experience with Southwestern gardening practices! Check out the organization at www.cottonwoodgulch.org. To apply, please send letter of interest and resume to kacie.erin.smith@gmail.com.